Born Adana, Turkey, 1955. BBA, Boğaziçi University (1978). Güler Sabancı, ranked the 64th most powerful woman by Forbes magazine in 2016, discusses the decisions that helped the Sabanci Group emerge as one of the leading business conglomerates in Turkey despite considerable political and economic turbulence over three decades. The Sabanci Group now consists of over 70 companies active in eleven countries. After college graduating in 1978, Sabanci, a member of the third generation of the founding family, joined the Group's new subsidiary manufacturing tires. In this interview, she recalls how challenging it was for the new subsdiary to succeed against the background of a military coup, and she describes how the venture came near to bankruptcy. Sabanci also details the subsequent growth of the Group with joint ventures and licensing agreements with U.S., European and Japanese multinationals. During the 1990s, the Group professionalized its governance and management, despite major political and economic turbulence that culminated with the collapse of the entire Turkish financial system in 2001. The Group’s Akbank was the only Turkish bank which escaped nearly unscathed. Sabanci explores the carefully-honed skills in managing cash flows and foreign exchange risk and explains how, over time, the Group developed competitive advantages in crisis management—both in turning around failed businesses and in building greenfield operations in turbulent conditions. “The World's 100 Most Powerful Women,” Forbes, 2016. “The International Power 50: Fortune's Most Powerful Women,” Fortune, October 10, 2013. “How Turkey's Business Superwoman Steers Empire in Man's World,” CNN, February 6, 2013. “Setting a New Course for Turkish Philanthropy: Q&A with Güler Sabancı,” Global Giving Matters, January-February 2011. 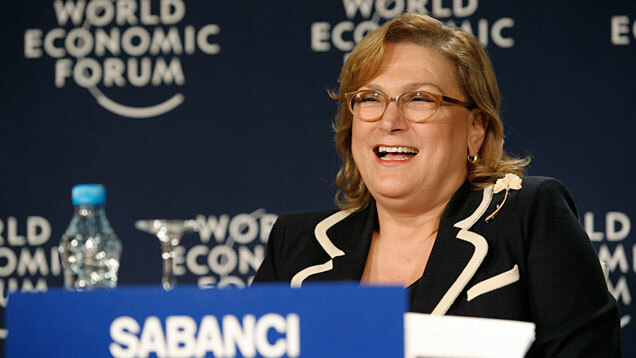 “Güler Sabancı: Conglomerate Sees Bright Future in the Energy Sector,” Financial Times, December 6, 2010. “First Lady of Turkish Finance,” The Observer, September 16, 2006. “Breaking into a Man's World,” The Economist, January 27, 2005. “Turkey’s Tire Queen,” Forbes, July 1999. “Turkey's Rags-to-Riches Sabanci Family Remembers Humble Cotton Fields Heritage,” Los Angeles Times, May 6, 1990. Ayşe Buğra and Osman Savaskan, New Capitalism in Turkey. Cheltenham, U.K.: Edward Elgar, 2014. Aslı M. Colpan, "Business Groups in Turkey," in Oxford Handbook of Business Groups, ed. Aslı M. Colpan, Takashi Hikino, and James R. Lincoln. Oxford: Oxford University Press, 2010. Erica Fry, "Güler Sabancı: Turkey’s Most Powerful Businesswoman," Fortune, September 9, 2016. "Interview with Güler Sabancı, interviewed by Dante Roscini, May 23, 2014, Creating Emerging Markets Project, Baker Library Historical Collections, Harvard Business School, http://www.hbs.edu/creating-emerging-markets/."